Travelling away from home doesn’t necessarily mean the sacrifice of creature comforts. Maintaining good health and lifestyle practises while on the road, whether you’re travelling for business or pleasure, shouldn’t be put on hold and many feel the benefits of keeping both mind and body in harmony while satisfying their wanderlust. 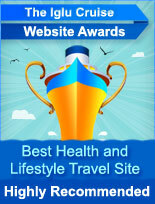 This is our award category for health and lifestyle travel. Our search efforts have culminated in the final list of sites which we feel excel at helping travellers achieve all of the above. There are many aspects to maintaining a healthy mental and physical shape while touring, some of which are obvious, others not so. Each and every one of our award winners are experts at collating and conveying the information you need to succeed, from insightful articles to innovative health tips and a great deal more. 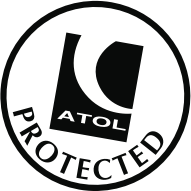 The sites featuring on the list take on different forms in order to achieve the same end. Some present themselves as immensely resourceful sites, while others take the form of highly readable and entertaining blogs on all things travelling in style. Either way, every site is in a class of its own and is deserving of not only an Iglu award but also the large readership they currently enjoy.